Charter of Rights and Freedoms | Mothers Against Wind Turbines Inc. Adverse Health Effects, Charter of Rights and Freedoms, Children Affected, Contracts Cancelled, Environment, Noise, Unite the Fight! Never underestimate the strength, determination and persistence of strong women. On November 2, 2018 in cold wet and windy weather, members of the mothers made our presence known to the local office for the Niagara Wind Project that concerns are unresolved and our work to seek justice and remedy is unabated. “Citizens pulled in to ask what was going on. A lady and husband parked across the road and came over to engaged. A generous citizen brought us 3 coffees and gave us props with comments including he has respect for what we do. A lot of vehicles honked and waved. Many thumbs up. It disturbs my sleep and makes getting to sleep difficult. I pace the floor unable to relax with the screeching in my head. Tinnitus: one of the many adverse health impact of industrial scale wind turbines and their infrastructure placed too close to my home. I have never ever experienced this in my life. This is not a soft buzz as some have asked, this is blaring high pitched frequencies in my ears that consume moments and alter my tolerance and behaviour. Accountability must be realized, for those who are injured and who suffer from this corrosive government plot. Stop the harm. 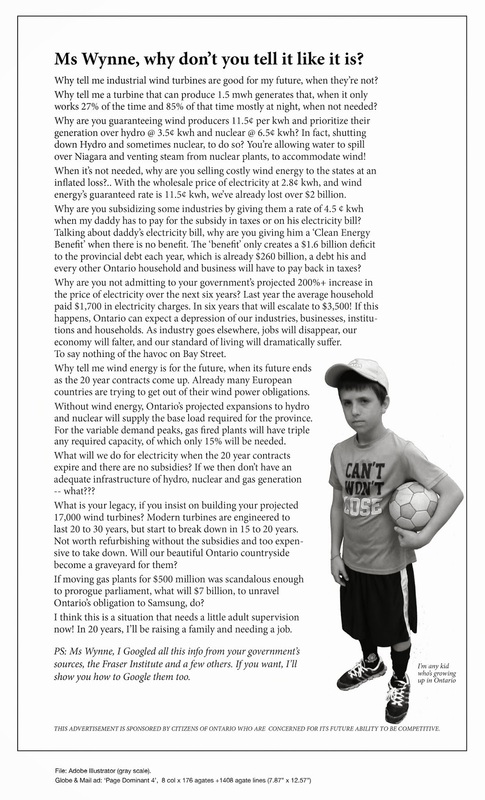 Stop the industrial wind turbines.